I am wishing you all a very happy holiday season. 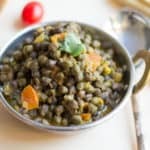 With thanks giving around the corner, I would like to share some vegetarian thanks giving recipes. Last year, I posted Eggless Pumpkin pie, Vegetarian Thanksgiving gravy and Mashed potato. Before getting into the savory recipes, I would like to share a sweet err tart recipe first. 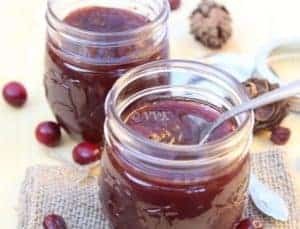 Here is the slow cooker cranberry sauce prepared with fresh cranberries and sweetened with old fashioned syrup and sugar. Some call this as sauce and some as relish. Irrespective of the name, it will brighten up your dinner table. 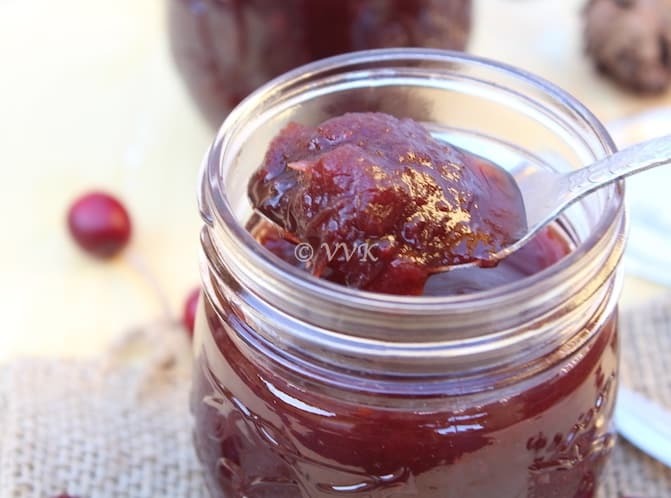 Cranberry sauce is one of the staple in the dinner spread during thanks giving. 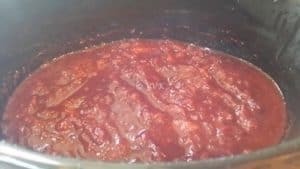 This sauce is nothing but a thick stew with sugar. 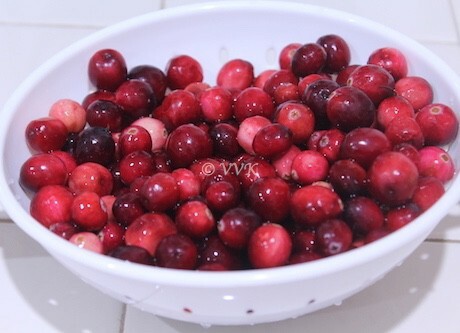 Cranberries are wild tart berries that are native to North America. These red color berries are the cousins of blue berries. 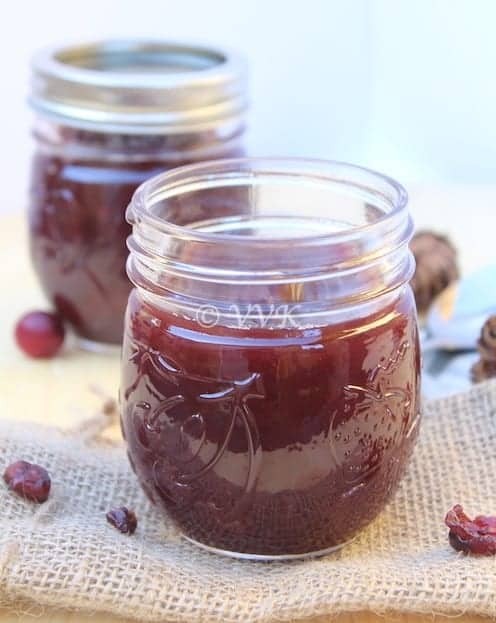 Like all the berries, these are very rich in antioxidants too. By nature, the fruit is tart. Adding sugar and syrup reduces the tart flavor but it doesn’t remove it completely. 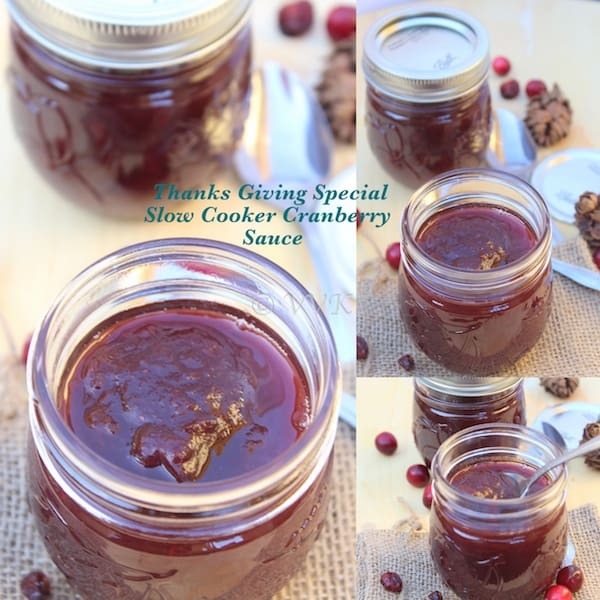 So that said, where and how can we use this cooked cranberry sauce? 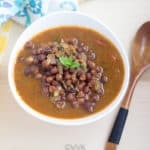 Stay tuned for the upcoming recipes. Just to use them in wide range of food, I didn’t add cinnamon and maple syrup. But you can include them generously. :-) Refer to the notes section for other variations. Add all the ingredients to the slow cooker and mix well. 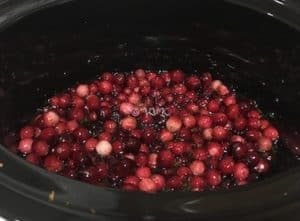 Cook on high mode for 1 hour and using a masher, mash the cranberries. Taste the sauce and if required add more sugar or syrup. Then set the slow cooker on low mode and cook for 6 hours. Mash it again and that’s it. The sauce is ready. Store it an air tight container. Stay tuned for how I used them. Cinnamon sticks or about 1 tsp of cinnamon powder can be added. Old fashioned syrup can be replaced with maple syrup. 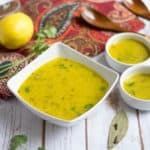 Orange zest and lemon juice can be skipped and about ½ cup of freshly squeezed orange juice can be added. I used a combo of cane and white sugar. You can use either one. 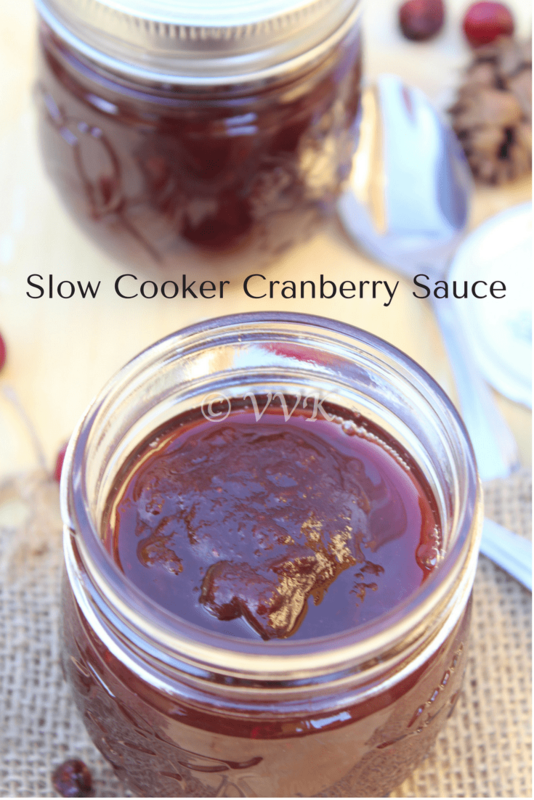 I love the idea of the aroma of cranberry sauce slowly filling the house from the slow cooker! Have a great holiday. 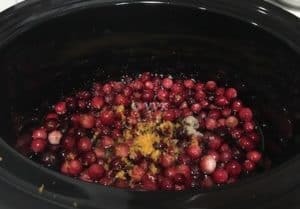 I love those aromas from slow cooker. Thanks a lot Beth and happy holidays to you too. 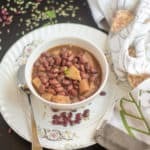 beautiful clciks and lovely recipe. Have great weekend!